Iron Maiden is a band lauded for the soaring vocals of Bruce Dickinson, the complex bass lines of Steve Harris, and the triple-ax guitar attack of Adrian Smith, Dave Murray, and Janick Gers. Something that sometimes gets forgotten in the Iron Maiden repertoire is the thunderous dynamic drumming of Nicko McBrain. The 'madman' joined Maiden in late 1982 and has played on every album since. 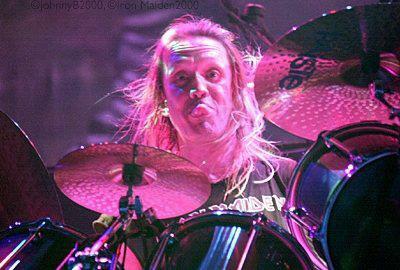 McBrain is celebrated in the metal world for his colossal drum kit which he uses to its fullest. As Motley Crue drummer Tommy Lee put it, "the man is an octopus." He is a highly celebrated member of Maiden and is loved by many fans around the globe. Nicko, the eldest member of Maiden, recently celebrated his 65th birthday. So we thought it'd be great to honor the drummer by listing the Top 10 Iron Maiden songs written by Nicko McBrain to celebrate it! Okay so we all know that Nicko is well-known for not writing many songs during his tenure in Maiden. He's been in the band for now 35 years and has written one song on a studio album, although number one on this list does give him a writing credit. New Frontier is definitely far from Maiden's best work, but it does stand on its own as the only Iron Maiden song properly written by Nicko McBrain. Nicko McBrain rightfully gets a credit for this argument between Steve Harris and himself, along with instigator Bruce Dickinson. The premise of the argument was that Harris, or 'Arry, sent his bass technician to relay a message to Nicko to extend his drum solo while Harris fixed a problem with his bass. The tech messed up the message and Nicko in turn botched his solo. After the show, McBrain was so upset that he decked the tech in the face. After learning of this, Steve got very irritated with Nicko and the two got in a heated argument. Bruce Dickinson overheard the heated confrontation and decided to intervene by taking a tape recorder and recording the conversation. Bruce enters the room with the recorder and what we get are six amazing minutes of a hilarious argument between the three members. It is definitely one of the best 'B' sides Iron Maiden has ever recorded. Well, we did promise you at least 10 Nicko McBrain songs so we'll try to make good on our promise. Nicko played in several bands before joining Iron Maiden, here are the Top 5 songs from his bands that are not Iron Maiden. 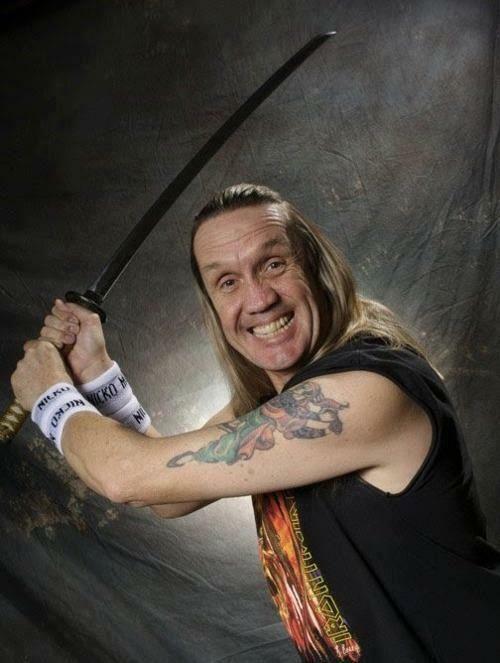 Nicko McBrain was recording albums before Iron Maiden was even a band. In fact, his first official recording according to discogs.com is an appearance on a strange single from the Cockerel Chorus titled 'Nice One Cyril'. It is an obscure song, but if I am correct it is used as a football anthem over in England. That was Nicko's first foray in the recording business, but his first break with a band came in 1975 with the English group Streetwalkers, who released their second album Streetwalkers in the same year. They came back in 1976 in what I believe is their best album, Red Card. The band is somewhat of a hybrid betwee Nazareth-Led Zeppelin-King Crimon, which makes sense as a couple of the members were ex-King Crimson. It's a cool song and crazy to see how far Nicko has come since then. Many people cite Pat Travers as one of the most underrated guitarists out there, including Metallica guitarist Kirk Hammett. The Canadian Travers worked with several esteemed rock musicians including Tommy Aldridge, Clive Edwards, Vinny Appice, and Mick Dyche. Nicko McBrain recorded two albums with the band in 1977, including Makin' Magic, a classic album. It's a great album for anyone that's a fan of bare bones classic rock. Some people might consider this cheating, but I don't. 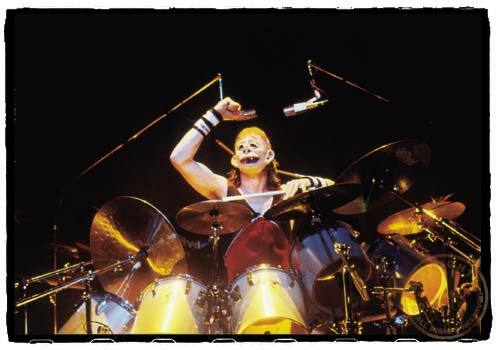 In 1991, Nicko McBrain teamed up with Paiste to showcase all things drumming for a full-length film. It was released as Rhythms of the Beast on VHS and spawned a single with the same name. The 'B' side to the single, 'Beehive Boogie' is a hard thumping instrumental, with guitar work by Iron Maiden man Dave Murray. It is a great song that makes awesome background music. Nicko's last stop before joining the Maiden crew came with the French band Trust in the early 1980s. He made his way onto their 3rd album, Marche Ou Creve , which they toured in support of and opened for Iron Maiden, where McBrain would gain his first contact with the band. 'Certitudes.. Solitudes..' is a hard sounding song that sounds all the more violent in French. Can you imagine Nicko speaking French?? That sounds hilarious. The lead single of the 1991 video, 'Rhythm of the Beast' features a big band type performance complete with organs and saxophones. It's a great instrumental that gets shrouded in the endless amount of amazing Iron Maiden material. If you have not heard this song, or seen the film, I highly anticipate that you do so. It is an absolute rocker! We are not done yet as now we present you the Top 5 Iron Maiden drum performances from Nicko McBrain! I have always really loved the drum sound on Iron Maiden's 1986 album, Somewhere in Time. Although this might be the weakest song on the album, albeit still a gem, Nicko's prowess on the song can not be undermined. If you can make it passed the cheesy lyrics this song offers, pay attention to the heavy beats Nicko lays down back there. This is another song that is far from one of my favorite Iron Maiden songs, but greatly showcases Nicko's abilities as a percussionist. 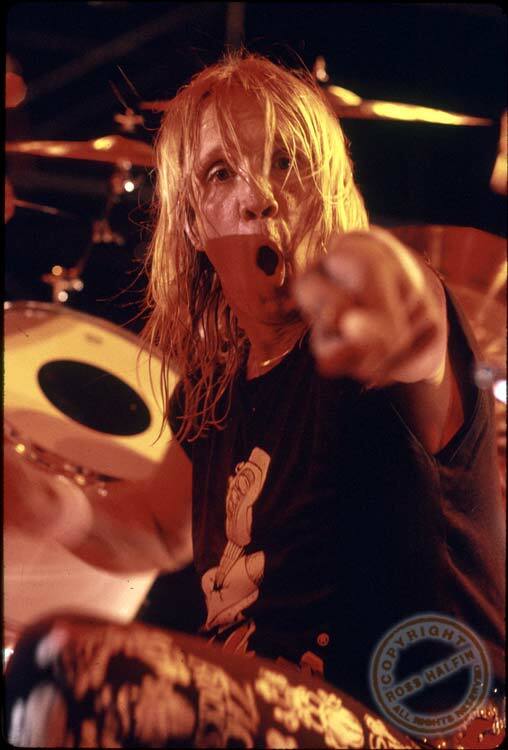 Nicko was on fire throughout the entire Brave New World album, 'The Thin Line Between Love and Hate' and 'The Mercenary' are prime examples. The sheer aggression and complexity of the beats are why Nicko should be regarded as a premier metal drummer. How could I not include a song from my favorite album? Nicko's power is churned throughout the entire album and sounds great. Can we just take a moment to appreciate the production value of this album? It's so great! Nicko does a great job of using everything he has at his arsenal here and it sounds superb. This song's power is amplified live when McBrain hits every beat on point. Drummers usually save their best stuff for those long instrumental pieces lodged in an album's long cut. Luckily for Nicko McBrain, practically every song on Iron Maiden's last seven albums can be considered a long cut, and this is where it all started. The Blaze Bayley era of Iron Maiden is usually talked down upon, but there were some shear masterpieces on those two albums. 'Sign of the Cross' is definitely one of those songs. Iron Maiden's tenth album featured many songs that saw them take their more modern direction of playing more progressive metal sounding songs. When Nicko joined the band and Iron Maiden was getting ready to record their fourth studio album in 1983, the band's leader Steve Harris thought it would be a great idea to welcome the world to their new dynamic drummer by starting the album off with the most powerful drum they could churn out. Nicko himself has often said that this is his favorite song, and with good reason! It is a terrific song and Nicko makes great use of his kit with a classic metal beat. So, there are the best Nicko McBrain songs, but none of them are his best performance. 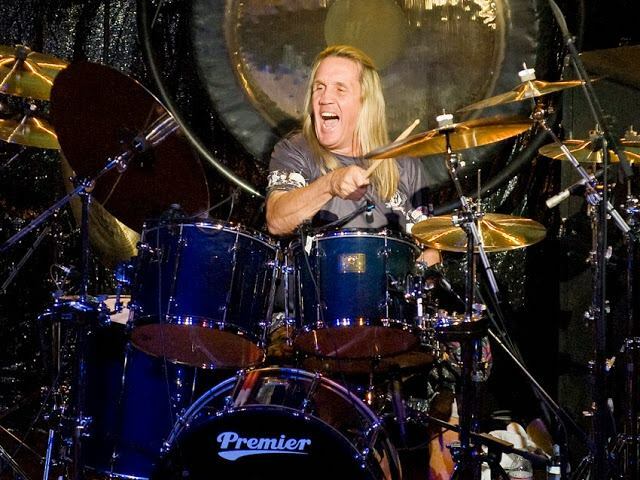 What is Nicko's best performance? Click that and be ready for the best thing you're going to hear all day! So, happy belated birthday to Mr. Michael Henry McBrain, have many more great ones and keep rocking our world! If you have something you think I should rank, leave a comment and stay ready for the next post on Heavy Metal Mania! Great list! A good little note would be Nicko at end of Thin Line when he states "Awww I F*cking missed it!"